There are two kinds of Fluoride. Topical fluoride which is not only found in toothpaste and mouthwash; can also be found on fluoridated varnishes and gels. These varnishes and gels are either applied by an oral health professional or prescribed by your dentist for you to use at home. Systemic fluoride is usually found in the water supply, as well as soft drinks, teas, and in some bottled water brands. Systemic fluoride is ingested and absorbed through the gastrointestinal tract, and distributed throughout the body by the bloodstream. Fluoride is safe to consume. Problems and health risks from fluoridation usually come from misuse and overconcentration. To prevent issues from arising; avoid drinking overly fluoridated water, and avoid swallowing toothpaste as well as other dental hygiene products. Over-fluoridation may cause teeth to look discolored, and the enamel will have a stained, spotted or pitted appearance. This condition is known as dental fluorosis. 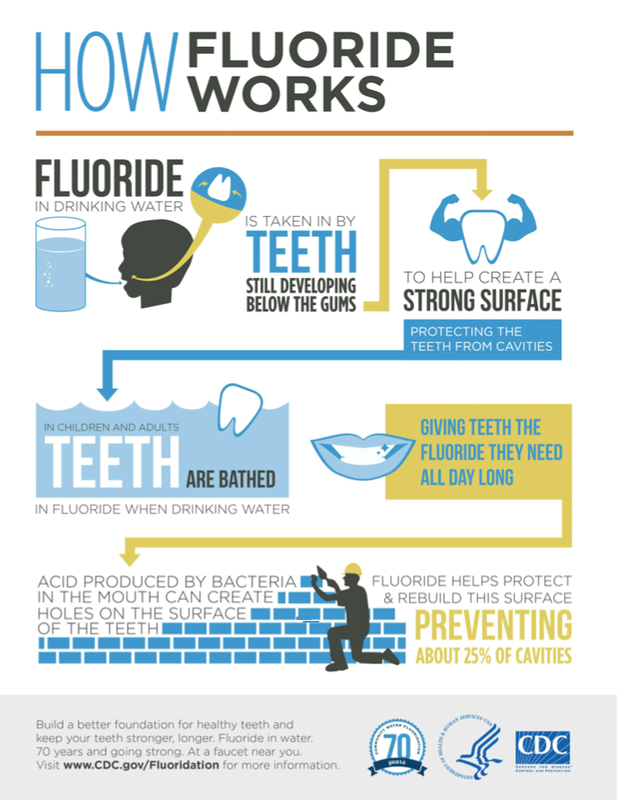 Children are more susceptible to dental fluorosis because their developing teeth can be affected by higher fluoride levels. If you notice any changes in your child’s teeth, contact our office and our dental experts will assist you. For information regarding the fluoride levels in your drinking water, please contact your local water department to evaluate the fluoride level in your local drinking source.